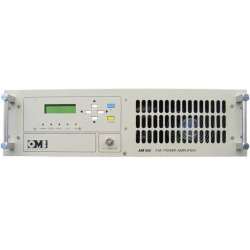 250W DIGITAL FM Amplifier in 19-inch rack. Large heavy-duty ball-bearing 80x80mm (120x120mm) cooling fans take care of any excessive heat. Amplifier is equipped with SWR and temp protection, good output RF filter and PC remote control (possible via USB, RS232 or Ethernet). A robust amplifier made for 24/7/365 operation. By buying this product you can collect up to 57 loyalty points. Your cart will total 57 loyalty points that can be converted into a voucher of € 11,40.